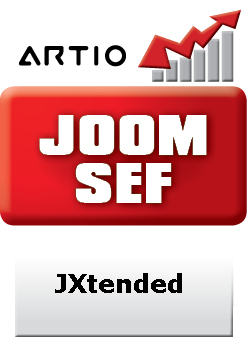 This Joomla SEO extension for ARTIO JoomSEF enables generation of Search Engine Friendly (SEF) URLs for the JXtended Catalog (web catalog system) component for Joomla. Important: This extension requires ARTIO JoomSEF 3.x. Use the JoomSEF built-in installer capability to install the extension package - for more details, please check documentation. After your payment is confirmed, you will get your download ID via email. When using instant payment, this process takes just a few minutes. The download ID is valid for 12 months or maximum of 100 downloads. If a new version of extension will be made available, you can update it for free. After purchase, the licence allows you to use this extension on one Joomla! installation only. To use it on more sites, you need to buy extra license for each.